AAINA is located in Bhubaneswar Orissa . AAINA is registered as a Society at Bhubaneswar of state Orissa with Ngo unique registration ID 'OR/2009/0009517' . 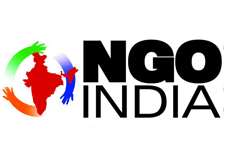 The NGO registration is done by Registrar of Societies with registration number 20609/159 of 1998-99 on the date of 15-01-1999, Its parent ORganaisation is PaulFoundation. The Chairman of AAINA is Meera Banik and Chief functionary officer is Sneha Mishra. After the inception the organization introduced many new activities like dance therapy, creative arts therapy, creative dramatics in education in to the field of disability in the state of odisha. Consequent to that aaina conducted pshycosocial rehabilitation of 3000 children affected by the super cyclone of 1999. Continuing with the work the organization developed the first enumeration of disability in the district of ganjam. Further on aaina extended support to establish 150 SHGs of persons with disability. The organization was extended the coordination task of SHG product marketing by the state govt. The organization is a member of National Trust. Aaina is heading a South Asian campaign named We Can to eliminate violence against women. The organization has always extended humanitarian relief during natural disasters. The organization has been a consulting agency in the state policy for children. Recently the organization has been initiating the establishment of child rights in the riot striffen district of Kandhamal.